SESAME project includes scientists from across the Middle East; aims to foster 'scientific excellence', build particle accelerator. A Jordan-based scientific research project whose members include Iran and the Palestinian Authority has chosen an Israeli professor as vice president, the candidate's university confirmed. Scientists from states participating in the project elected Eliezer Rabinovici, a physics professor at Jerusalem's Hebrew University, as vice-president of the Synchrotron-light for Experimental Science and Applications in the Middle East (SESAME), the university told AFP. Rabinovici will serve alongside a second vice president from Egypt, according to Haaretz, which did not give his or her name. SESAME aims to build a particle accelerator, based on the huge facility near Geneva operated by the European Organisation for Nuclear Research (CERN), near Al-Balqa University west of Amman. More broadly, however, its aim is to serve as "a propeller for the scientific, technical, and economic development of the region", which "will strengthen collaboration in science", and to "foster scientific and technological excellence in the Middle East and neighbouring countries (and prevent or reverse the brain drain) by enabling world-class scientific research in subjects ranging from biology, archaeology and medical sciences through basic properties of materials science, physics, chemistry, and life sciences". But the project also aims to serve as a catalyst for social change in the region, by "build[ing] scientific and cultural bridges between diverse societies, and contribut[ing] to a culture of peace through international cooperation in science". Rabinovici elaborated on this point, explaining that the SESAME project allowed scientists throughout the region to collaborate despite hostile relations between some of their countries. "This program has scientific value and is also a platform that allows many states in the region to collaborate towards scientific goals. "We work together towards goals that advance the interests of the entire region... thanks to the trust built between us over many years and without the pressures that dominate the political arena," he told AFP. 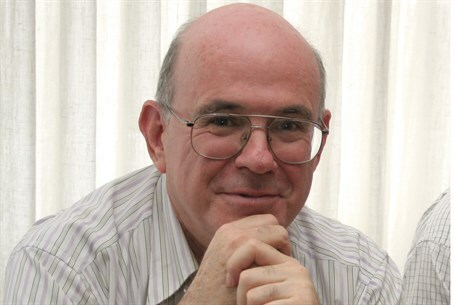 Speaking to Arutz Sheva, Professor Rabinovici explained that he sees his participation as a matter of duty, stating simply: "I was born in Jerusalem, and I would like to contribute to the envionment I live in." Acknowledging that such straighforward sentiments of goodwill are hard to come by in a region usually defined by sectarian and political strife, Rabinovici maintains that in the realm of science, things are viewed quite differently - as demonstrated in his unanimous election to the post by colleagues from countries including states whose political leaders do not recognize Israel's right to exist. "Conflice, hatred, and bloodshed - we have them all in abundance. "But we as scientiests - who understand a little bit about how the universe works - have been priviledged with the knowledge of how to collaborate, because science is an international language. "Each participant brings their own scholarship into the project," for the collective benefit of the people of the region, without paying heed to politics. SESAME's members include Iran, Egypt, Jordan, the Palestinian Authority, Egypt, Bahrain, Turkey and Israel as well "observer" states from Europe, Britain, the US and Japan, according to its website.